Nostalgia is a complex concept. Most often, we define it as fondly looking back on a simpler time, a better time; but it has a sinister side as well. Because, in order to long for yesteryear, we must also forget – or at the very least obfuscate – that those times had challenges not unlike, and often worse, than the time we wish to escape. Nostalgia requires us to paint the past with a sepia-laden brush of incongruity. This is the area in which Lou Berney places readers with his new historical crime novel, November Road. For many, November Road will be much more than a crime novel – and there is no denying this truth – but it is also a novel that never shies away from its genre-based touchstones – by a writer who refuses to deny his genre-based origins. The literary world is going to embrace November Road, but crime aficionados will remain the heart behind the hug. November Road is a road-trip novel with three distinct journeys on a collision course with destiny. Set just before, during, and after John F. Kennedy’s assassination, the novel documents a time of strife that reverberates into our modern world. The struggle for civil rights for all citizens was in full swing and was as contentious then as it sadly remains today. But November Road is not a novel “about” this topic, but rather is a story in which these realities resonate through the characters and situations presented to the extent that the two become inseparable. In fact, these characters become universal because of their singularity of time and place. Frank Guidry has worked for mob boss Carlos Marcello for years. Loyal to a fault, when he becomes privy to information of National significance, he realizes that his life is in danger from those he trusts most. On the run, making spur of the moment decisions, Frank must stay one step ahead if he has any hope of surviving. Frank is a man who does bad things, but he is also a man with a moral compass. Riding with him as he struggles with this dichotomy is a lesson every reader deserves, even needs. Paul Barone also works for Carlos – as a hitman. His assignment is to find and eliminate the problem of Frank Guidry. Teaming up with a young African-American kid named Theodore, Barone tracks this fugitive’s every move across multiple States. The bond between Barone and Theodore elucidates much about the status of race relations during this transitional period in our country’s history and readers will feel both hope and fear in equal measure. Charlotte is also on the run – but her journey represents one more of self-discovery than of survival. With her two daughters – Rosemary and Joan – in tow, Charlotte leaves her stable and contented life behind in the effort to find herself and make a better future for her girls. Charlotte embodies the move towards female empowerment that seemed so revolutionary at the time. Her actions may seem impulsive, but Charlotte is committed to them with no less vehemence than the others. Charlotte is the character with which readers will likely most identify; she is the everywoman who is unlike any woman. And when these three groups converge – come on, it’s not like you didn’t know that was going to happen – the resulting cacophony will echo for generations. If November Road teaches us anything (and believe me, it teaches us tons), it is this: major events affect even the most minor of individuals; but minor alterations can also have a major impact. These characters – simply because of how real they are – will stay with readers forever, and their choices – both the good and the bad – will influence future decisions for each and every one of the folks who read this novel. Sure, we won’t be able to track how this string of continuity actually flows, moment to moment, but every true reader knows that books do make a difference. This book will make a difference. 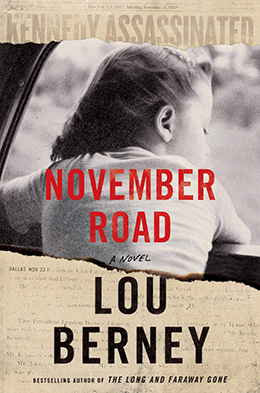 November Road is an eminently readable thriller with a power and depth that belies that ease. There are grander ideals at play within Lou Berney’s words, sentences, and chapters. Sometimes the greatest changes are spurred from the most unexpected of sources. To read November Road is to live November Road – and it is impossible not to be altered by that experience. My favorite read this year. 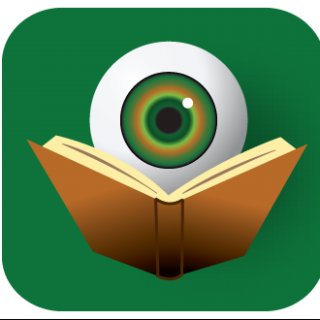 Certainly in my Top Reads – with ease!